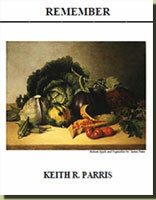 Keith R. Parris was born in Spartanburg, South Carolina, in 1946. He graduated from Clemson University in 1969 with Highest Honors and was a Distinguished Military Graduate. He served nearly eight years in the United States Air Force as a fighter pilot, flying F-4E Phantom II aircraft, in Europe, Asia and the United States. He married Janet K. Baugh, of Waco, Texas, in 1974 and later returned to school at The University of Texas at San Antonio and graduated at the top of his class in 1979 with an MBA Degree. He worked for 21 years in the gas and gas liquids industry where he served as Director of both financial and operational areas. 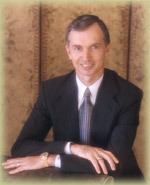 Much of his business career was with Valero Energy Corporation. 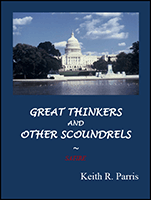 He retired from industry in December 2001 and began devoting himself to his lifelong passion of writing. 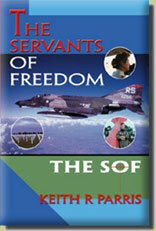 In 2004, his first novel, THE SERVANTS OF FREEDOM, was published and received the "Editor's Choice Award" from iUniverse. 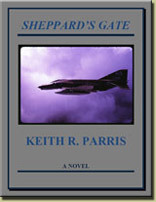 With SHEPPARD'S GATE, a rewriting of the earlier novel, the author has improved the book from start to finish, adding compelling new characters and scenes that enhance the enjoyment of his insightful storytelling. 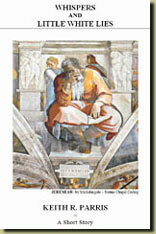 REMEMBER is his first collection of poetry and is presented on this website for your enjoyment. 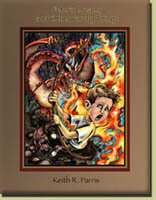 PETER'S DREAMS AND OTHERWORLDLY THINGS became a concept in the author's mind before the "New Millennium" but its birth was carefully guarded until it could be wonderfully illustrated by Janie Lewis. 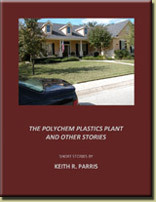 Most recently, the author completed a collection of short stories entitled THE POLYCHEM PLASTICS PLANT AND OTHER STORIES, followed closely by a very special work entitled WHISPERS AND LITTLE WHITE LIES. Mr. Parris and his wife lived in Europe and Asia before making their home in Texas.